Forget the super-size and move towards “super-wise” dining. When it comes to sea veggies, size definitely does not matter. If you are looking to add superfoods that pack a real punch to your diet, don’t overlook these little giants. They are small, but undoubtedly are heavy weights. Gram for gram they out-match any contender. Sea vegetables have been consumed for thousands of years throughout Asia. And, have a long-standing culinary history in the Caribbean, British Isles and Canadian. It has been only recently that seaweeds are being recognized as a valuable food source in the United States. Today, there are over 30 different types of known edible sea vegetables or seaweeds being enjoyed all over the world. In the United States, you can find a variety of sea vegetables in the health-food stores and Asian markets. They are prominently featured on the menu in Japanese restaurants and sometimes made into drinks at local “Jamaican Joints”. A few types of seaweed are even available in conventional supermarkets. – Ten to twenty times the minerals and vitamins of land vegetables. – Ten times more calcium than milk. – Eight times more iron than red meat. – Greater amounts of protein than eggs, wheat, or beans. All sea vegetables contain significant amounts of protein, but some pack a heavier protein punch than others. The protein content of seaweed varies according to species. For example, Nori and Dulse have high levels of protein, even higher than the soybeans. Some of seaweeds contain as much as 50% protein. Generally brown seaweed is lower in protein, (3 – 15% of dry weight is protein) than the green or red (19 – 47% of dry weight is protein). As an added benefit, unlike land vegetables, the protein contained in seaweeds is a complete protein. They are also a great source of essential soluble and insoluble dietary fibers. Both types of dietary fibers are equally important to your health. Fibers aid in digestion and in preventing heart disease, diabetes, obesity, diverticulitis, and constipation. 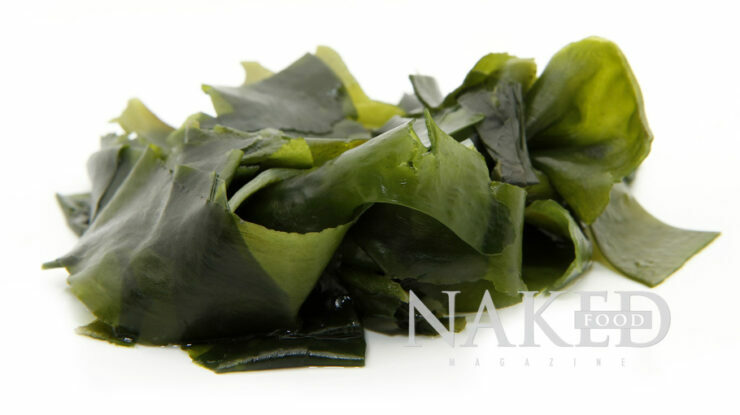 Seaweeds contain vitamins A, B, C, D, E and K. Plus, they contain vitamin B-12 (or something that resembles B-12). B-12 is a vitamin normally found only in animal products. Vegan diets are sometimes criticized for lacking B-12. Many experts advocate that seaweeds are reliable sources of B-12 for vegans and vegetarians, although, other experts question whether the body can use B-12 from sea vegetables. The mineral content of sea vegetables is extraordinary. The high mineral content is believed to be at the root of most of their healing properties. The minerals found in sea vegetables are colloids and easily absorbed by the body. Sea vegetables can be an extremely nutrient-rich source of calcium, phosphorous, magnesium, sodium, iron, iodine/potassium iodide (KI), and chlorophyll. experience to the taste buds. Sea vegetables can be added to your soups, beans, rice, vegetables, and salads, to enhance their flavor and to fortify them with beneficial vitamins and minerals. Adding sea vegetables to beans can reduce the bloating and gas effects. Adding them to beans and grains also aid in the absorption of minerals that can be blocked by the phytic acid found in grains and beans. Sea vegetables can also act as a great salt substitute. For example, when Dulse or Kelp is present in a dish, little or no additional salt is needed. Some of them can be roasted and eaten raw as a crispy snack (Nori and Sea Palm). Others are chewy and can be eaten raw like jerky, or pan-fried to take on the consistency of bacon (Dulse). Some of them make great garnishes (Seabean), while others can stand alone as a seaweed salad (Hijiki, Sea Palm, and Wakame). Probably, the most well known of the seaweeds in America is the Sushi Nori, which is used to make sushi rolls or, Spirulina, which is commonly used as an “add-on” to drinks at local smoothie shops. Seaweeds are available in dried form year-round. You can store them in a moisture-proof container, and they will keep indefinitely. Add these to your storm and natural disaster survival kit. Remember, many of them can be enjoyed raw, and, prior to hydration, require no refrigeration.